Murray PHN spans the northern Victoria area from Mildura to Woodend and eastward to Wodonga including Albury, NSW. The region incorporates approximately 100,000 square kms with a population base of more than 644,000 people. Servicing this area are offices and staff located in Albury (North East), Bendigo (Central Victoria), Mildura (North West) and Shepparton (Goulburn Valley). 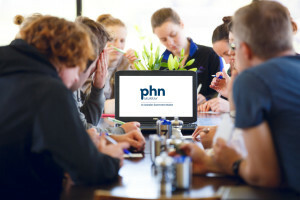 In line with the national objectives set by the Australian Government, Murray PHN works with hospitals, GPs and service providers to create a more effective and efficient primary health system, including the areas of mental health, Aboriginal and Torres Strait Islander health, population health, health workforce, digital health and aged care. The key priorities are to reduce hospital admissions, increase immunisation and cancer screening rates and improve the mental health system. Murray PHN has developed a behavioural competency framework which defines the behavioural aspects all employees are to regularly model. It will help the organisation develop effective leaders, while building organisation capacity, raising employee engagement, fostering a culture of inclusion and offering our staff greater career opportunities. The framework is used as part of the recruitment process, including shaping questions at interview stage. Download the Competency Framework. Murray PHN is an equal employment opportunity (EEO) employer and in a recent annual staff survey, scored very highly for job flexibility, equality, a workplace free of discrimination and sexual harassment, in addition to being rated a truly great place to work. We are also proud to have created the Stop Mental Illness Stigma Charter and support our staff in a number of ways including access to an employee assistance program, that offers benefits such as free counselling. Aboriginal and Torres Strait Islander people are encouraged to apply for our vacancies. Add your details to the form below to receive updates as new job vacancies become available.